The interior of the Bergin Correctional Facility. 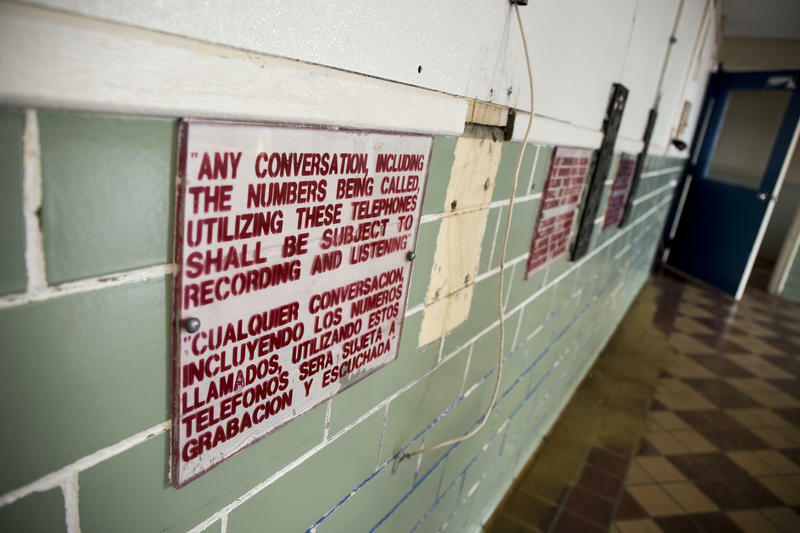 Gutted kiosks that used to be filled with phones inside the Bergin Correctional Facility. The prison yard surrounding the Bergin Correctional Facility. One of the five buildings at the prison. 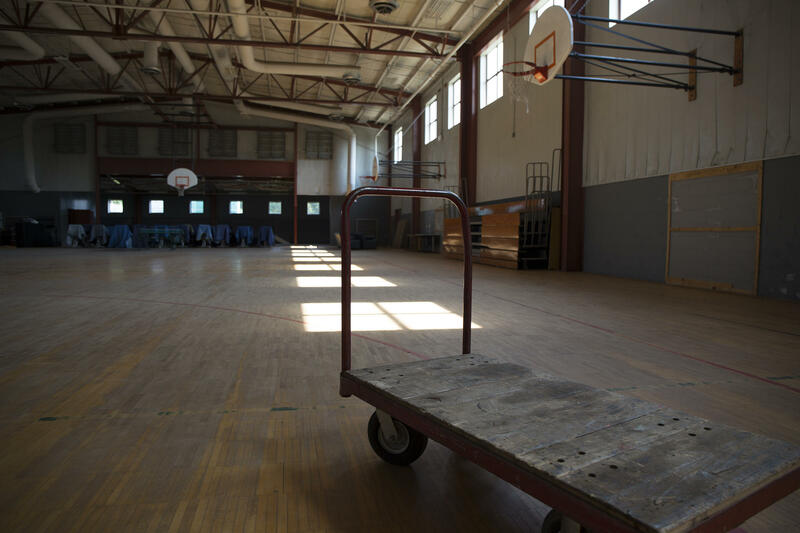 The gymnasium inside the prison. The buildings have many qualities that would make for coveted office space. 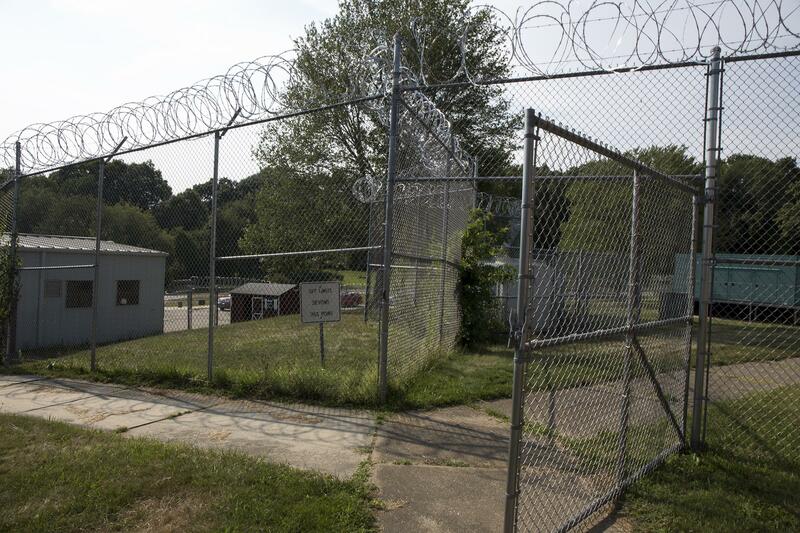 The former Bergin Correctional Institution, a 35-acre site along Route 44, opened in 1989 and was decommissioned by the state in 2011. 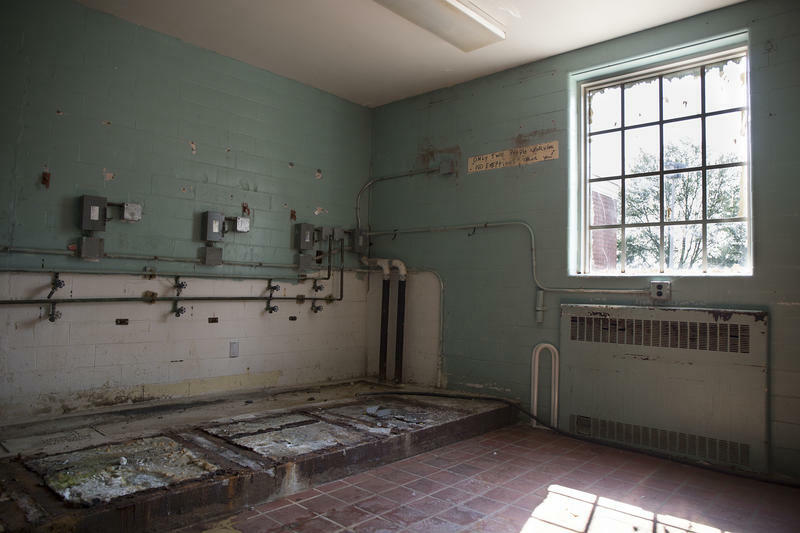 But UConn officials say the fences will soon come down, and that in a few years, the facilities will be renovated -- allowing students and faculty to work and study where low-security prisoners once lived. 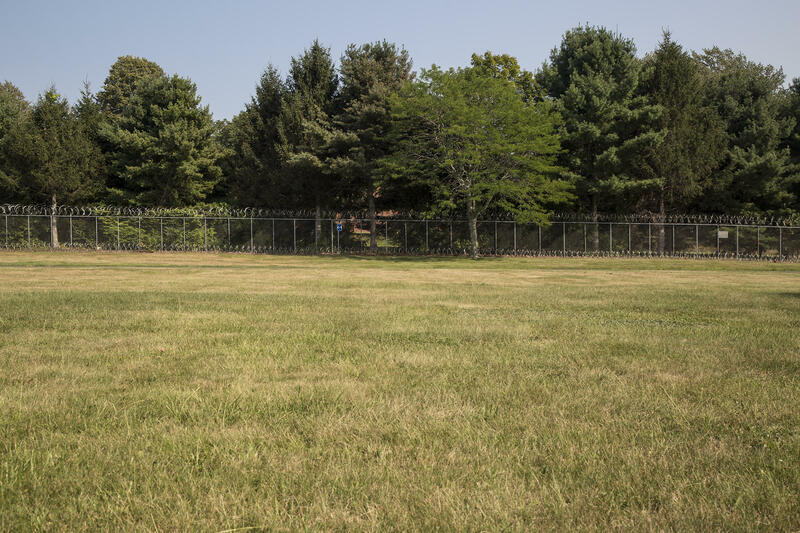 The prison’s facilities are surrounded by an expanse of open yard. To the north, there's a stretch of woodland, and just outside the perimeter of razor wire, there’s a pond. 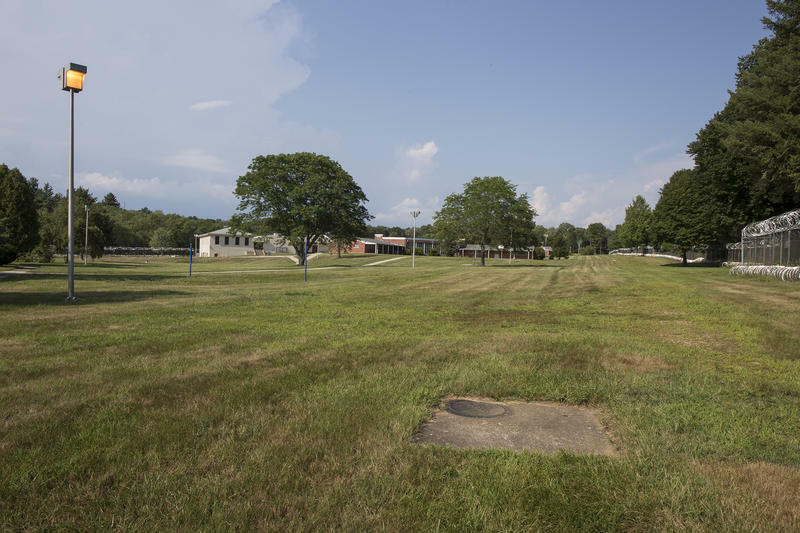 University planning director Beverly Wood said it’s the open space and proximity to the school’s Depot Campus – which is located a few miles from the UConn’s main Storrs campus – that attracted the school to consider developing the site. 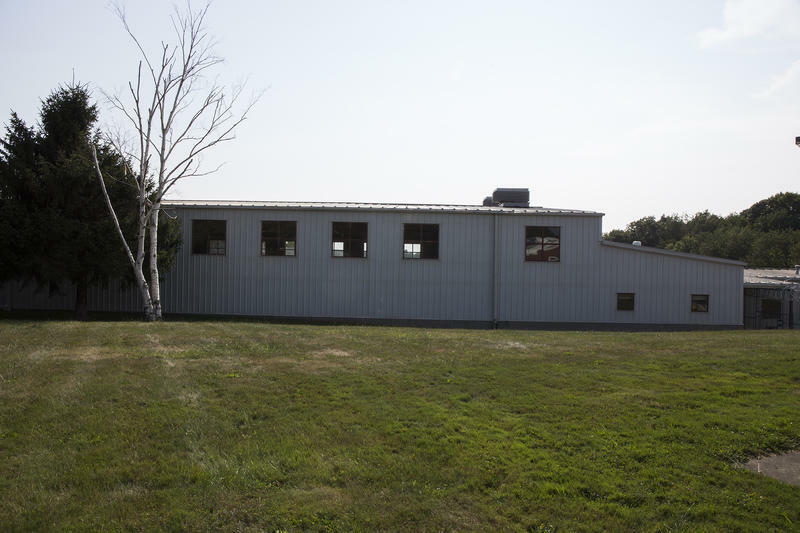 "People think of this as Cell Block D. It is not Cell Block D. It is more like a residential facility," Wood said. 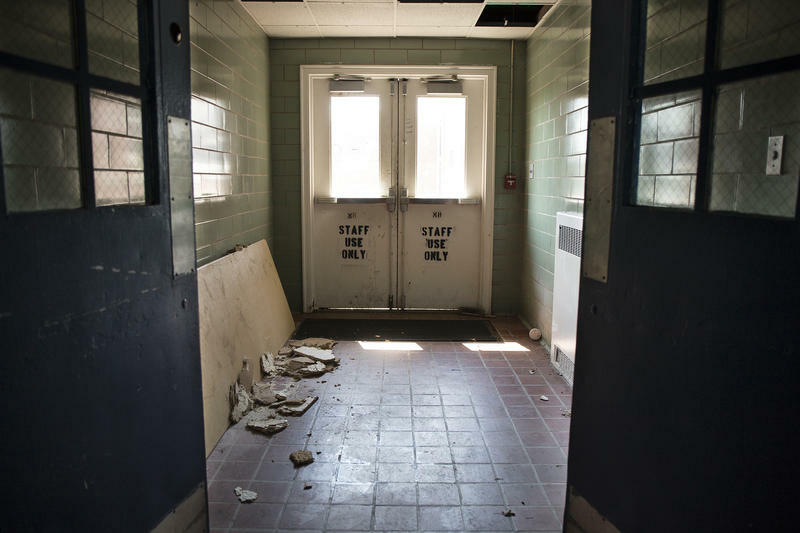 As a minimum-security prison, Bergin had open rooms with large windows, meeting areas with wall murals, and even a basketball court. 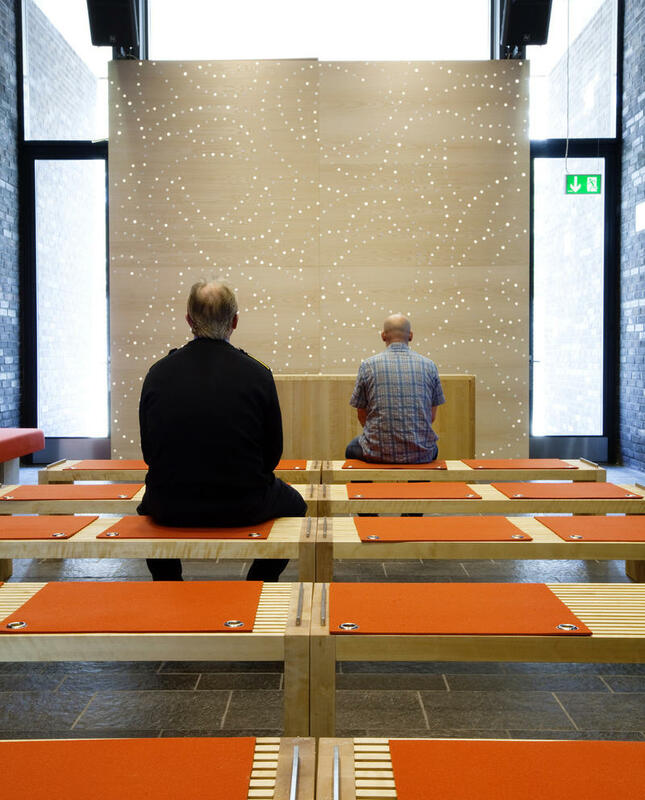 The buildings, while labyrinthine and designed for inmate detention, have many qualities that would make for coveted office space. A razor wire fence runs along Route 44. Outside the gymnasium of the prison. 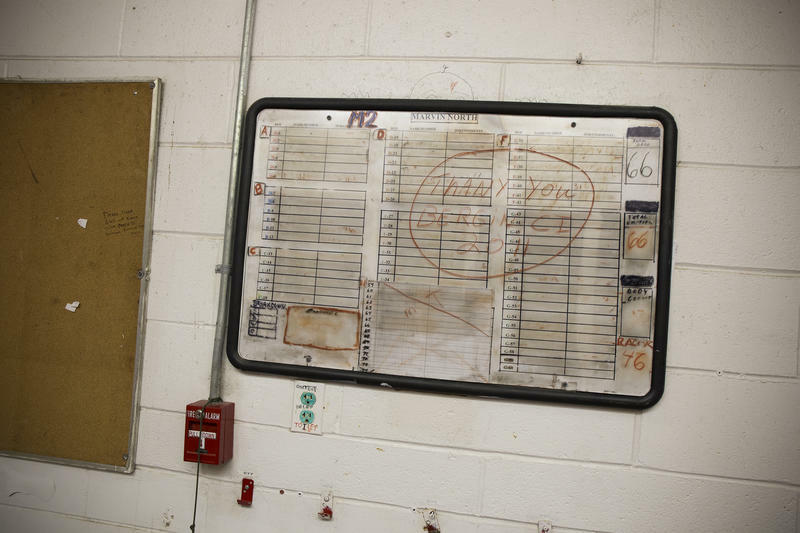 A garage outside the Bergin Correctional Institution. Beverly Wood is UConn's planning director. 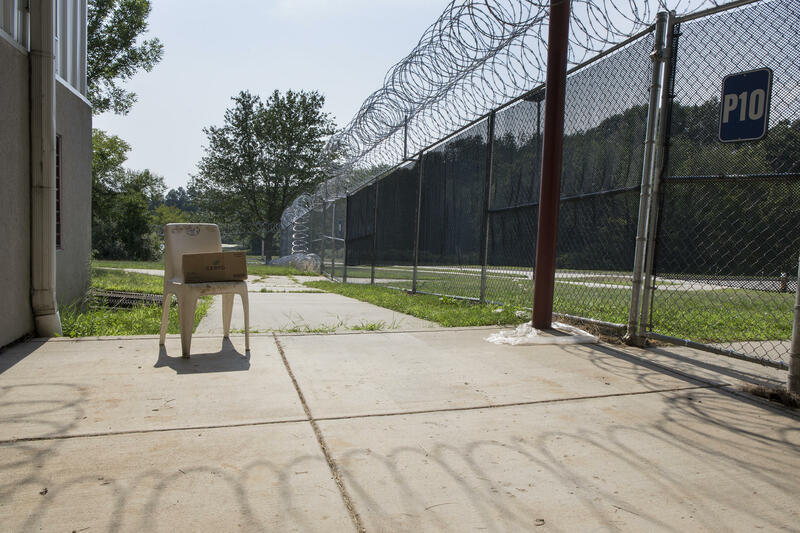 Beverly Wood said UConn hopes to have offices at the former prison open by 2017. Wood said inmate sleeping quarters can be converted into group project rooms and grad student offices. In the center of each dormitory is an open room where researchers could collaborate and share equipment. What won't be going in the redesigned prison, Wood said, are student dorms. 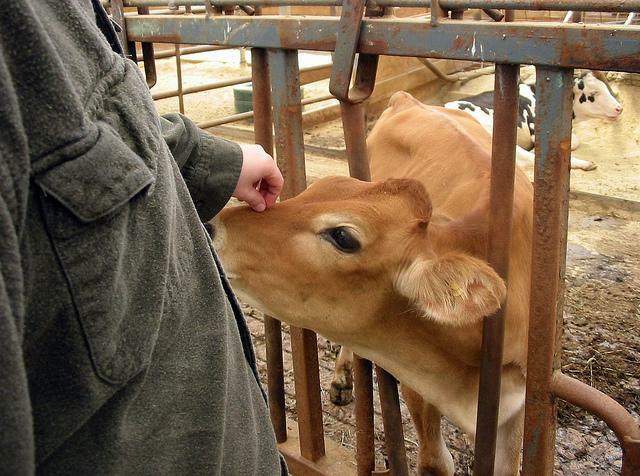 “In a way, it’s very well-suited for a variety of solutions. We’re just moving now into this idea and embracing project-based learning so we need these kind of spaces to be able to execute that,” Wood said. 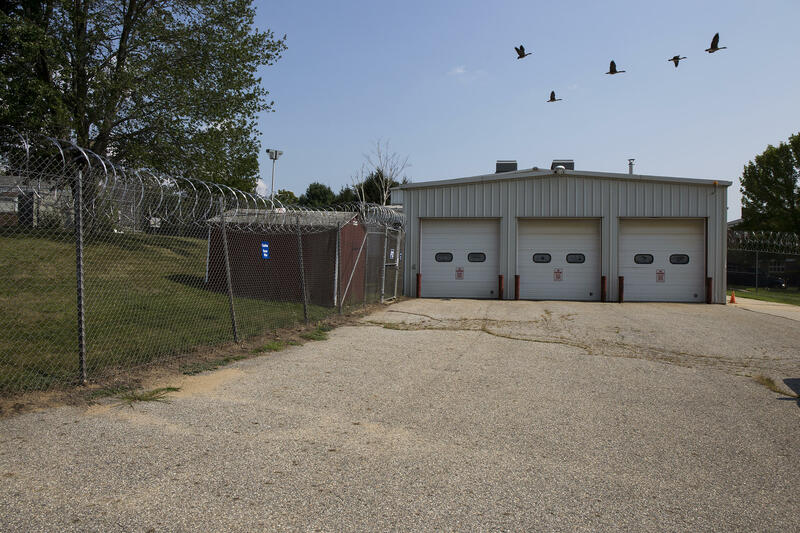 Bergin Prison offers a relatively clean slate for development, officials said, comparing it to the Depot Campus across the street. That complex contains the remains of the old Mansfield Training School acquired by UConn in the 1990s. Many buildings there are decrepit and unsafe for use. The site has been out of use for over 20 years, and is listed on the National Register of Historic Places. But for the former prison -- with limited heating and maintenance in the few years since its closure -- there’s still remediation work to do. 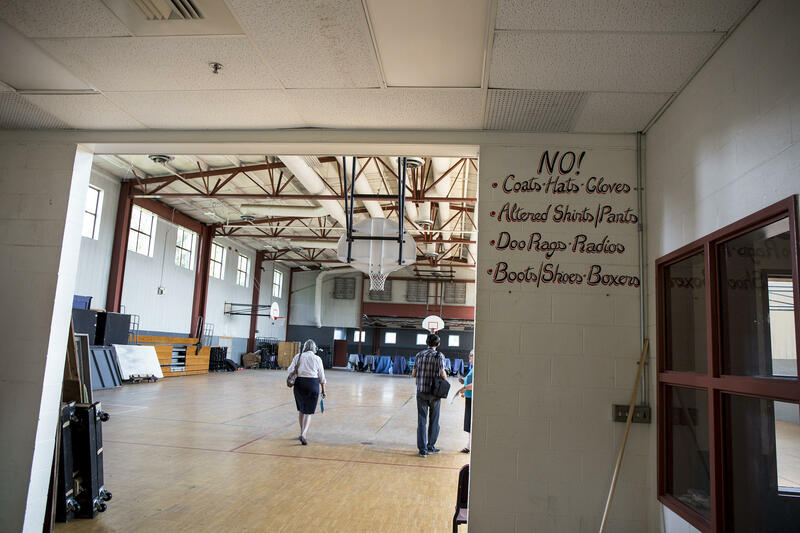 UConn Master Planner Laura Cruickshank and Director of Planning Beverly Wood walk with WNPR's Patrick Skahill in the gymnasium of the Bergin Correctional Institution. A portrait of former UConn men's basketball star and retired NBA player Richard Hamilton painted on the gymnasium wall. “Especially in masonry buildings like this, you’re going to get a lot of mold if you don’t keep some sort of heat at some low temperature. 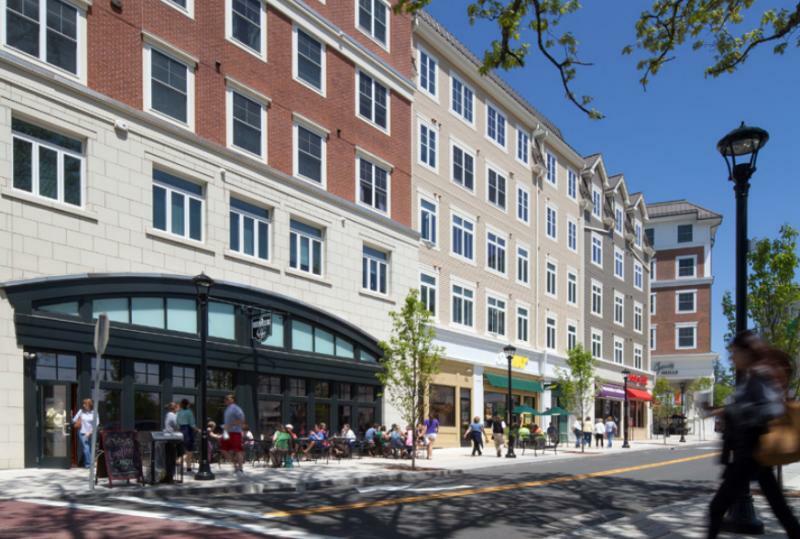 So we expected that,” said Laura Cruickshank, UConn's Master Planner. Wood said the mold issue started when the building was still under the jurisdiction of the DOC. 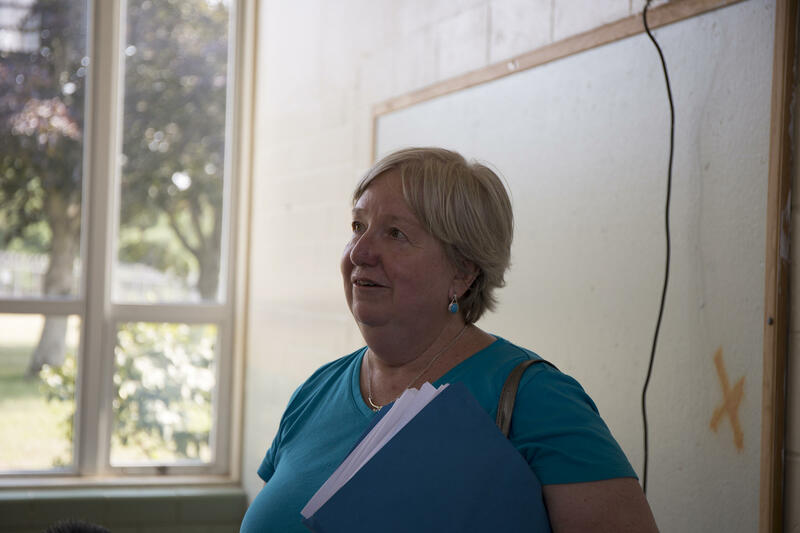 And she said the school will also investigate what testing needs to be done for other hazardous materials -- like asbestos -- that could be disturbed during the renovation. A section of fence outside the prison. Today, UConn is in the final stages of acquiring the land and its five buildings from the Department of Correction. The hope, Wood said, is to have offices and spaces for students open by 2017. The school’s dining services office will also open a commissary at the site. Wood estimates the school will spend between $25 and $40 million on remediation and renovation at the site. UConn spokesperson Stephanie Reitz said there will be no new borrowing to fund the Bergin expansion. “When the razor wire comes off and the fence is down, this is really going to have very much like a campus-like setting,” Wood said. The University of Connecticut is planning a campus entrance near its Storrs Center development that officials said will link the town and the school. The University of Connecticut is in negotiations to buy a hotel in Storrs and eventually turn it into a student dormitory. From slashing its water use by 15 percent to hundreds of classes that feature sustainability, UConn climbed from fifth-place to the top of this year's list of green colleges. "This year, our editorial focus was a little bit more on academic stuff that it usually is and UConn really, really was a standout in that realm," said Avital Andrews, lifestyle editor for Sierra Magazine, which has been ranking schools for seven years. 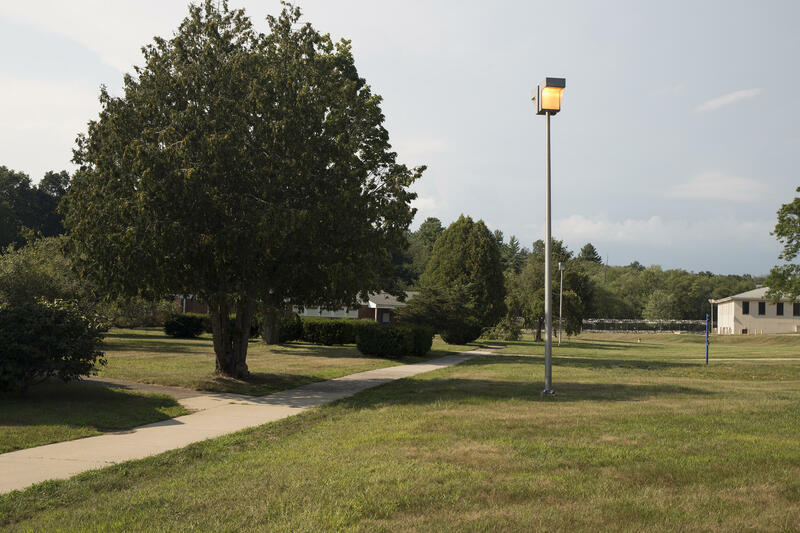 Yale Law School’s Visual Law Project has created a film about Northern Correctional Institution in Somers, Connecticut. The documentary film sheds light on the hidden world of supermax prisons, where inmates may be held in solitary confinement for weeks, months, and even years at a time. 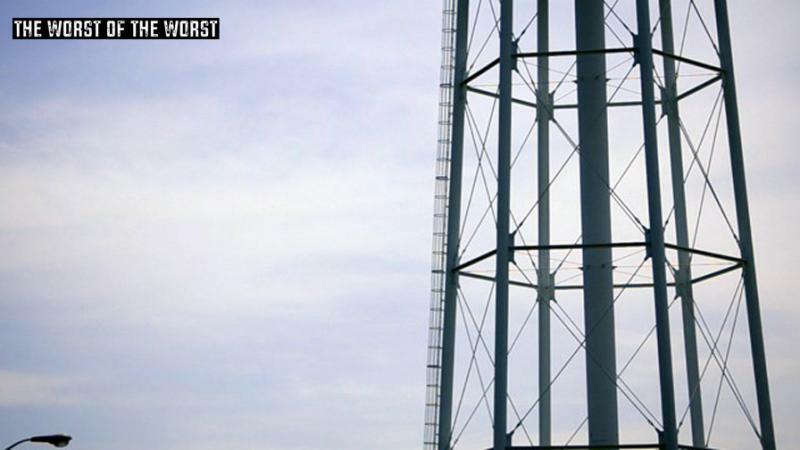 The film is called "The Worst of the Worst."